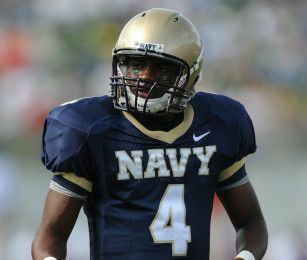 The preseason accolades keep rolling in for Air Force cornerback Reggie Rembert and Navy quarterback Ricky Dobbs. Both were named to the first ever Hornung Award Watch List. Named after the former Green Bay Packer and Notre Dame halfback, kicker and safety, this award will be given to college football’s most versatile player. Rembert and Dobbs join 48 other players including Georgia Tech’s Josh Nesbitt and Ohio State’s Terrelle Pryor. It will be interesting to see who the first award goes to because as the name suggests there is quite a range of positions included on this watch list. Will it go mostly to offensive players like the Heisman Trophy or to the defense, which has plenty of cornerbacks who also return kicks like Rembert. 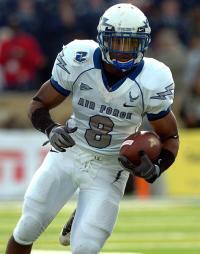 Rembert is a 2010 All-Mountain West Conference preseason selection. He collected 43 tackles and three interceptions in his junior year, which was shortened by a two-game suspension for breaking unspecified academy rules. Also a punt and kick returner, Rembert is the school leader in kickoff return yardage. Dobbs, aka the Magic Man, is turning up on plenty of preseason awards lists. Earlier this month, he was named to the Walter Camp Watch List, which goes to college football’s best all around player.